Welcome to Day #5 of Chocolate and Salt Theme Week. 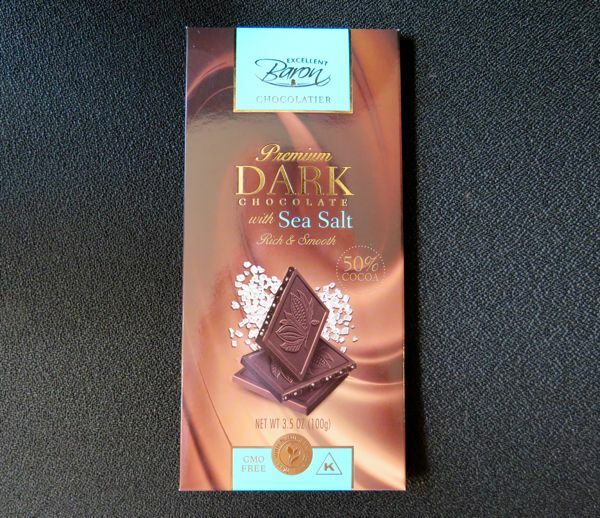 Today's Dark Chocolate with Sea Salt bar, a product of Poland, originated from The Milano Group's North American division, European Chocolate, Ltd. (Vernon Hills, IL), that produces Baron Chocolatier bars. Hard to follow? Yes, it is. But supply chains sometimes are. 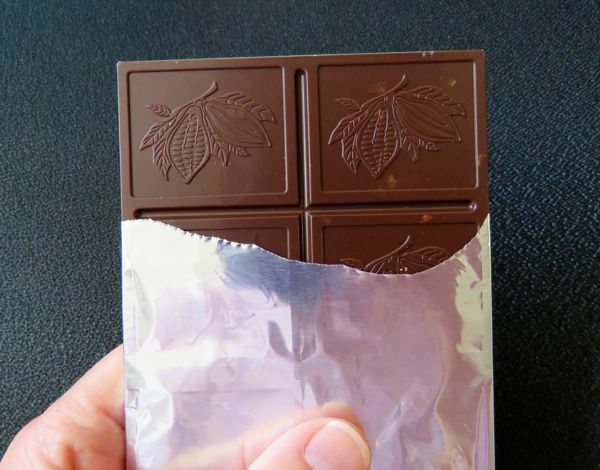 This 50% cocoa bar broke with a hard snap, and had smooth dark flavor. Tiny embedded crystals of sea salt were embedded (inside) this sweet, dark bar, and yielded an occasional saline sparkle.